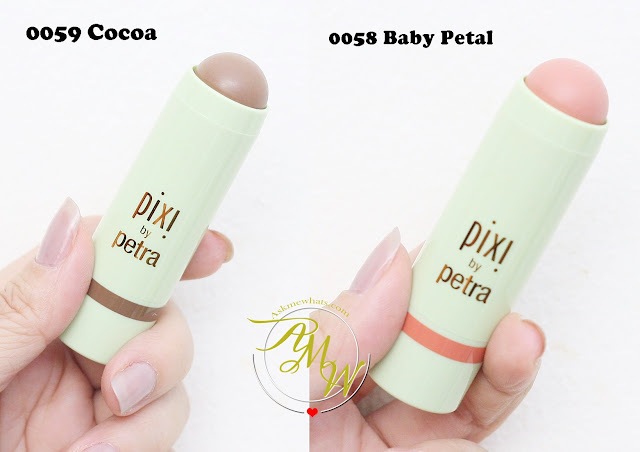 I've reviewed a couple of Pixi By Petra products in the past and I'm quite amazed how this simple brand in simple mint green packaging can really catch my attention. How? With innovative products that you think you've had enough off (or probably don't need) but end up liking/loving them just because of the way it appears on your skin. And these 2 products are no exemption! They were on top of my makeup station for quite some time but I don't have this urge to really test them out until I sat down, fixed all the "to review makeups" in the bin and found these and decided to use both together. During application, I was thinking at the back of my head : "What the heck? Both products doesn't do anything for me!" NOT UNTIL I saw this photo taken by Mr. AMW with me wearing both products together. Okay, I look younger no? And oh yeah, my skin looks extremely nice and healthy! And mind you, I contoured there using the multibalm and it doesn't look like I had any contouring products on! What do you think? The packaging maybe simple but I call this simple-yet-effective! You get the exact shade of the product on cap so you don't have to rummage through your makeup collection just to look for the right product. Trust me, if you are on a rush, that is a pain in the neck! In the Philippines, there are a total of 4 shades to choose from adding up Soft Strawberry and Watermelon Veil to the 2 I got for review. Sheer Sculpt Cocoa - as the name states is SHEER yet build-able. 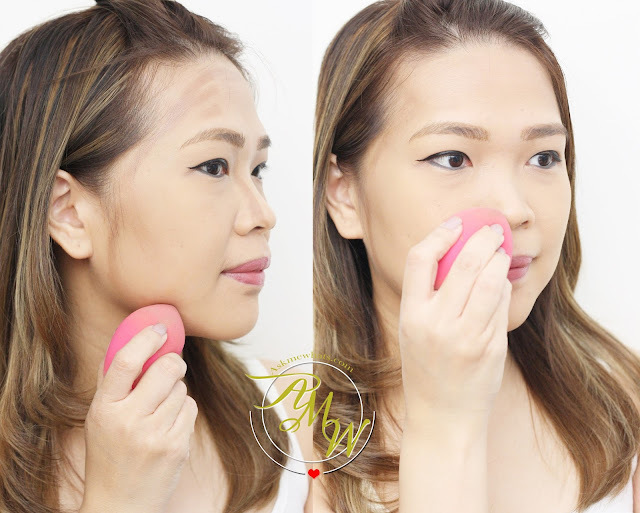 This particular shade, I would say is a very subtle color to contour users who have fair to medium skin tone. If you have darker complexion, you may still use this but apply more than usual. This is also a perfect Nose Contour Shade because it has a demi-matte finish! Meaning, it is matte yet it has a hint of sheen that would make everything look more natural. SECRET: You have to BLEND EVERYTHING well! I like to use a damp sponge because it also keep my skin hydrated! This is my most subtle and natural contour-photo to date! How I use the Multibalm in Baby Petal. I like to apply a good amount ONLY on the apples of the cheeks and use my clean fingers or clean synthetic brush in blending towards my hairline! I like to create a focal point of flush at the apples of my cheeks so I apply a bit more and blur out harsh lines. VOILA! This is my to-go-to pampa-fresh products for the year 2017! Both products area versatile because on days I want to have more makeup on, I use them as base and top them with contour powder and blush powders! How do you like my feeling young look? Pixi By Petra products are available locally online at Zalora and BeautyMNL, Feel free to like them on Facebook for more brand and product information. ah now you mentioned! Where are my Nars Multiples? Totally different, the Happy Skin one is darker and this one is extremely subtle!